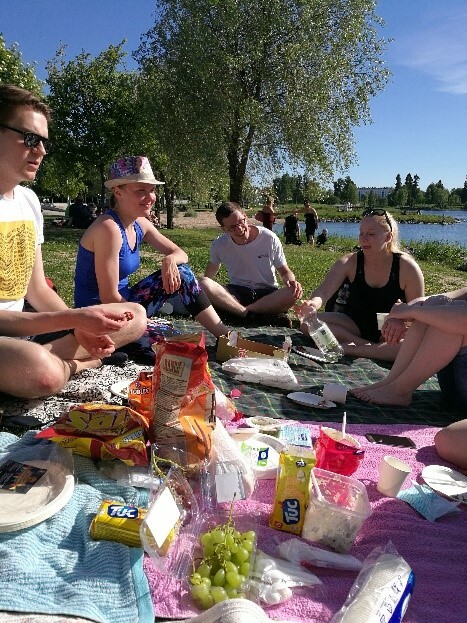 The Biochemical society of Oulu organized an annual recreation day on July 1. 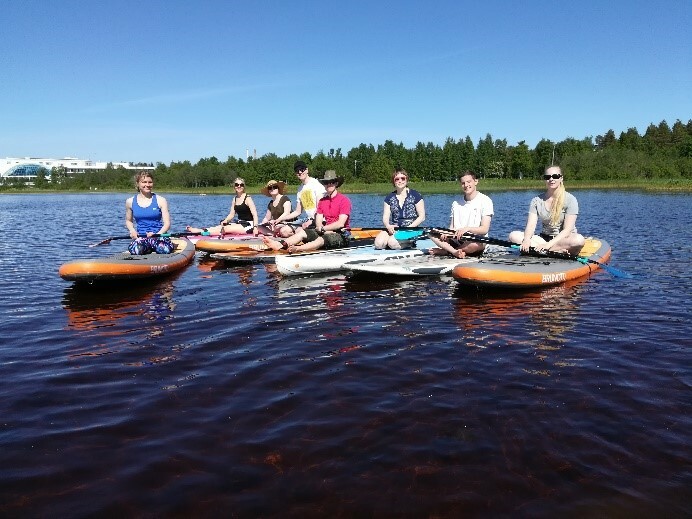 This year we headed stand-up paddling (SUP) and coupled that with a picnic at Kiikeli. For once, the weather did not let us down, since it was one of the prettiest days of summer. 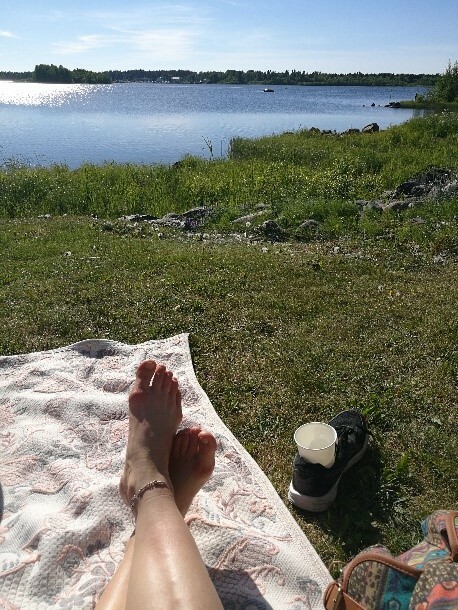 The sun was shining from the clear blue sky and weather was perfect for outdoor activity and picnic. 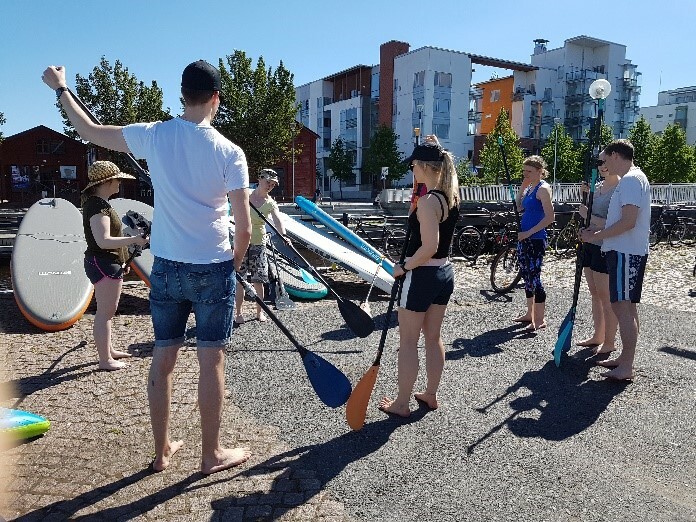 First, we gathered at Kiikeli to hear instructions for paddle boarding by Leijakoulu Lappis instructor. 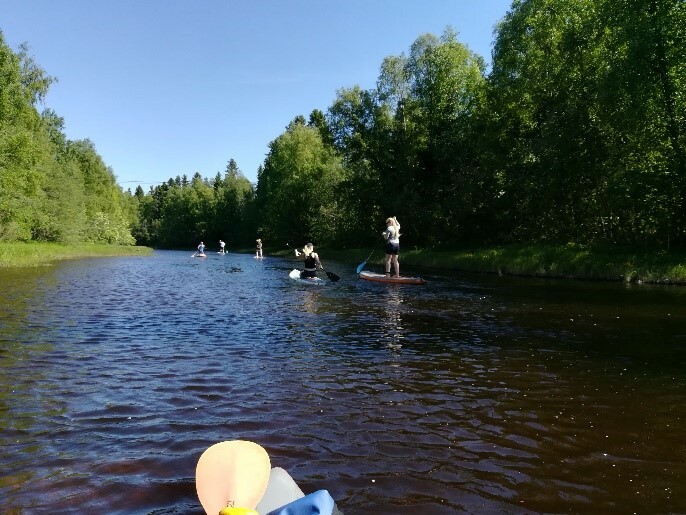 Then it was time to hop on boards and head from the Torinranta to the Kuusisaari and towards the open sea by paddling trough the river delta and then back. After nice but also exhausting a bit over two hours SUP trip the picnic was very welcome. 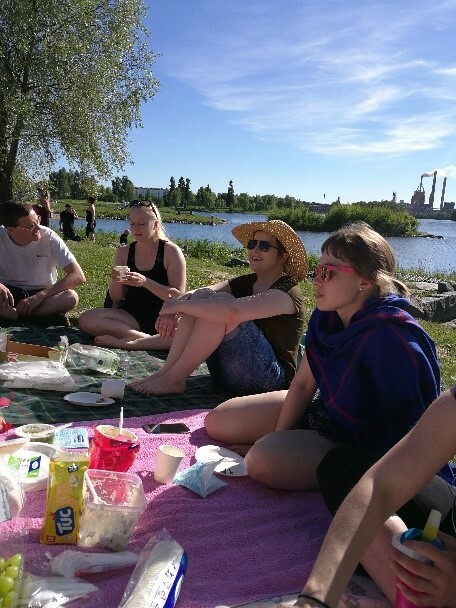 The group headed to the Kiikelinranta where one of the board members had brought all the ingredients for an enjoyable picnic. Rest of the afternoon we spent enjoying the rare warmness and sunshine of Finnish summer with good food, drinks and company.